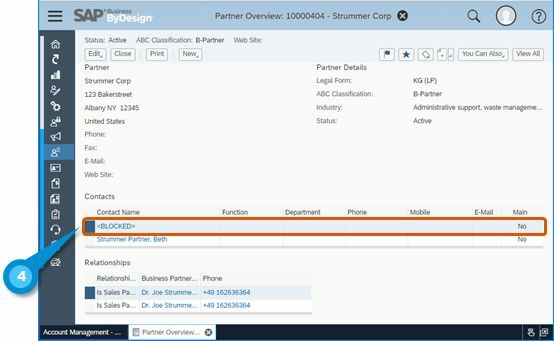 1902: What’s new for data privacy management in SAP Business ByDesign Cloud ERP? 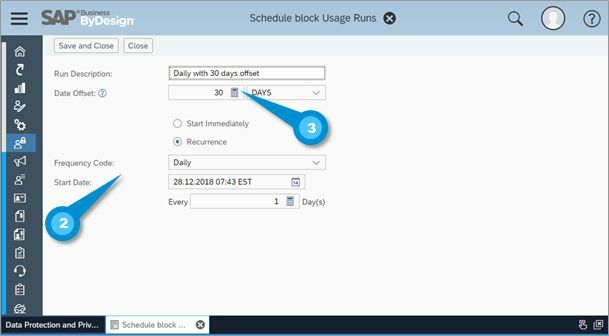 With our new 1902 release we have added capabilities to automatically block business partners for normal business users. So besides the well known capabilities to disclosure and deletion of natural persons data it is now also possible to automatically block data for usage by using a scheduled run. Blocked persons will not appear in operational master data work centers, value helps, reports and webservices and cannot be used for new business processes anymore. Only the data privacy managers will be able to see all master data and also be able to unblock. Existing business documents will remain visible and will still be possible to process. How to configure of the blocking run? The “Data Protection and Privacy” work center give central access to all data privacy management capabilities and allows also to configure the automatic blocking run. In the blocking run you can define the recurrence (e.g. daily) and an offset for how long a business partner needs to be in “obsolete” status before getting blocked by the run (e.g. 30 days). After e.g. a contact has been blocked it will not show up in the account work center anymore. In the account and partner screens and also in reports it will appear as a row with the tag <BLOCKED>.